No One Cares If You Drown In Rome. 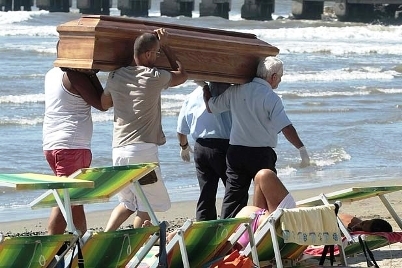 And I thought Americans were insensitive…..
Italians are expressing outrage over published photos that show beachgoers near Naples going about their day as the bodies of two Roma girls lay on the shore. The girls had drowned earlier in the day, but the tragedy draws attention to what one group calls Italy’s atmosphere of “racism” toward Gypsies. 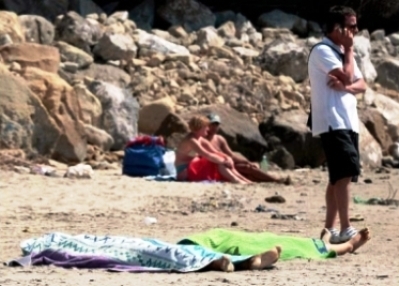 “While the lifeless bodies of the girls were still on the sand, there were those who carried on sunbathing or having lunch just a few meters away,” Italian newspaper La Repubblica said. The young girls reportedly had come to the beach on Saturday with two other Roma youngsters to beg and sell trinkets. The youths went swimming but were overpowered by the strong currents, local reports said. Lifeguards were able to save only two of them. 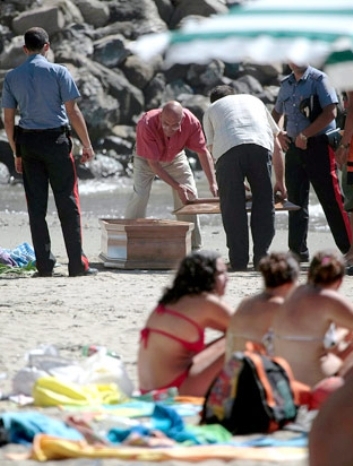 Their bodies were eventually laid out on the sand under beach towels to await collection by authorities who arrived hours later to carry them away in coffins. The incident also drew condemnation from the Archbishop of Naples. “Indifference is not an emotion for human beings,” he wrote in a parish blog. Gypsy: a member of the Roma people or, more generally, one of a stateless people, whose communities are traditionally thought to have been originally from India, entered Europe in 14th or 15th century, and are now widely distributed over Europe, Russia, Turkey and the Americas. “Gypsy” is not used by the Roma and is considered pejorative by some, especially among the Roma themselves. previous post: Nick Turns 18 And Katie Turns Purple. 50 queries in 1.024 seconds.